The WYNBERG FAMILY FESTIVAL and Kfm 94. bring you three days of everything your family loves doing! The festival features fabulous fashion stands, a fully-fledged amusement park, bargain hunting, great prizes and other cool surprises. It’s all going down at the Maynardville Carnival Grounds in Wynberg, from Friday the 29th until Sunday the 31st of March 2019. Kfm 94.5 will be broadcasting live from the Wynberg Family Festival. Catch the Flash Drive with Carl Wastie & Zoe Brown on Friday from 3-7pm, Mitch Matyana on Saturday from 2-6pm and Brandon Leigh on Sunday from 10am-3pm. 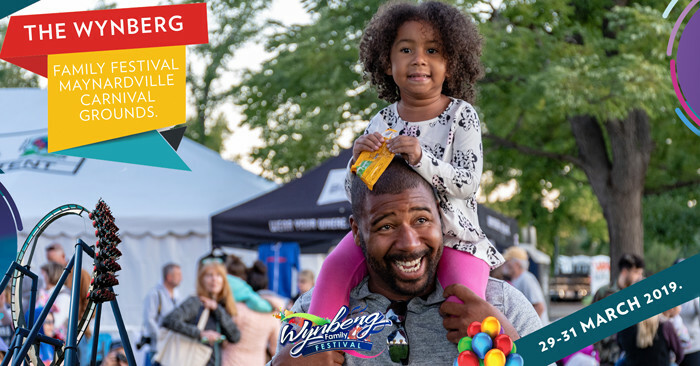 The 2019 Wynberg Family Festival in partnership with Kfm 94.5. The most weekend fun to make your family feel great.